July 14: 95 Kms; B17 3 Hrs 20; ?Metres; ? Calories. Jeff, Mark, Perry, Keith, Rob, Mark W, Angelo, Eric. Okay, some Garmin stat issues on Sunday. Above numbers from others. We had an early morning start to miss the Folly. Tough ride just the same in the heat and that after a big ride on Saturday. There was no glory on Pinnacle Hill on Sunday. No mystery to-day just no legs (hello Jens). Yes, Pinnacle and the Garden of Eden Road (which was no Eden, as scenic and bucolic as it is) cut me down to size, foolish as I was in trying to hang on to Eric, Perry, Keith and Jeff–all on the fly. First became last–that’s me. Lanterne rouge but smiling all the way, with only Tims providing relief. Blame it on Mark W who wickedly suggested we tackle Pinnacle. Good idea, notwithstanding the grunting. Perry’s new wheels and Keith’s new shoes shone in the effort. You just should have been there. And, you can next weekend. Stay tuned. 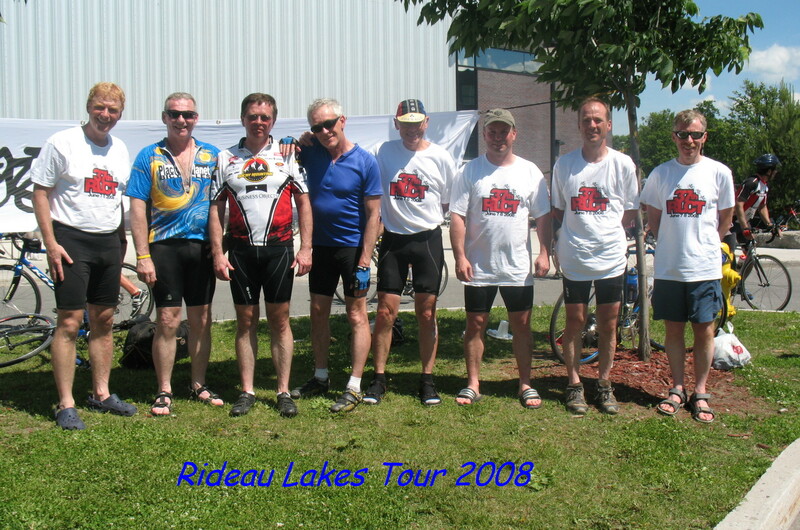 Okay, we are now on twitter at @arnpriorcycling. Tweeted about Arnprior and the Braeside dump. Will tweet about McNab Township–the apparently short-sighted empire-building-council that proposes to make recreation and reading user-pay services. Now, that is a darker door into the dark than Heaney’s ”door into the dark”. Pity! Better or Older or Both?